Description: Delta Ceramcoat premium paint has a creamy smooth consistency for one coat coverage. Ceramcoat is perfect for wood, paper mache, poster board, plaster, terracotta, canvas and more. Colors may be mixed, and dry to the touch in 30 minutes. This non-toxic, water-based acrylic paint cleans up easily when wet with soapy water, but colors are permanent when dry. 8 oz. #2506 Black. 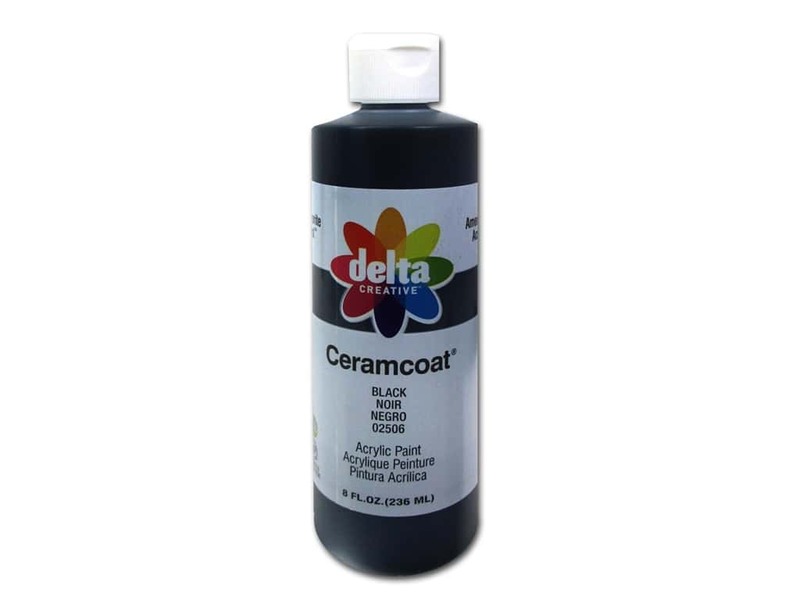 See more Ceramcoat Acrylic Paint by Delta 8 oz..
Delta Ceramcoat Acrylic 8oz Black 5.00 out of 5 based on 1 ratings. 1 user reviews.